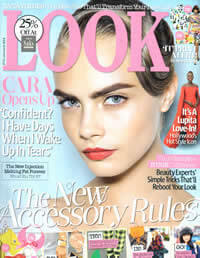 Hot topic: New revolutionary fat-melting injection as featured in this week’s Look Magazine! Available at Aesthetics of Essex, this aqualyx treatment is the perfect solution for anyone that wants to get rid of fat fast and with ease! This is a treatment that can melt fat cells present in many areas of the body with results that are visible after just one session. It consists of an injection containing a combination of plant polymers and a water solution that is injected into the targeted area which work to destroy and prevent fat cells from re-depositing. The procedure is completely safe and meets all European medical standards; it’s a fast way of removing fat, taking a maximum of 60 minutes and works by turning the fat into liquid which is then passed through your system when you go to the toilet. The more fat you have the more sessions are required, therefore, large areas (such as the tummy or thighs) may require up to 5 sessions before completing the treatment to achieve best results. However, it is not suitable for an individual that is very overweight. Sessions are usually scheduled a month apart with cost of treatment ranging from £250 to £400. Although the treatment isn’t pain free, it’s a non surgical alternative to liposuction, and can be done in under an hour with no recovery time. It usually all settles after a week and allergic reactions are possible but are highly unlikely, as are scar and pigmentation issues. The fat cells will not grow back once the treatment is complete; as long as a healthy and active lifestyle is maintained. The effect the injection has on your body will make the price tag of these aqualyx treatments worthwhile as problem areas are banished!